Not exactly the best photo quality. That is basically par for the course with me. One reason I love using a digital video camera now. Years ago I never got around to posting these pictures. 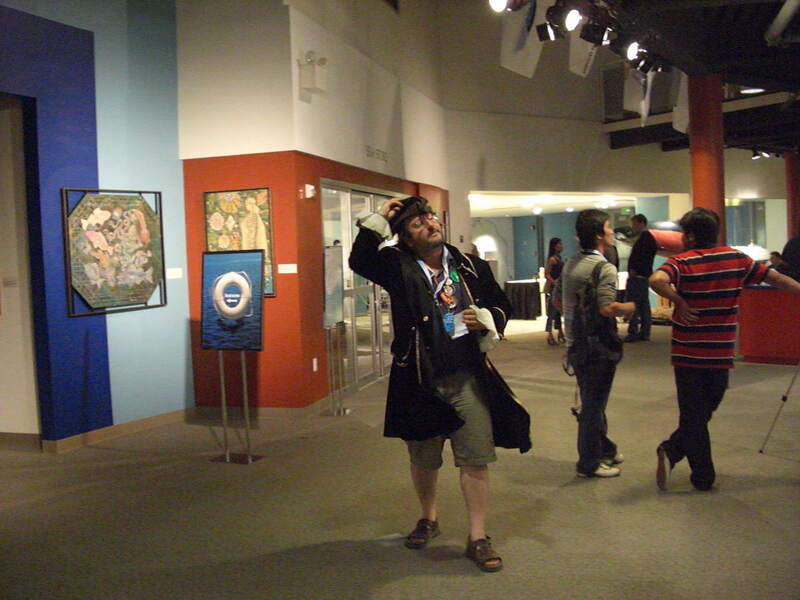 During Gnomedex 07 many others posted similar photos of Dave Winer in this Swashbuckler / pirate outfit. While looking for other Seattle content for a recent article I came across these and decided why not post some old school Gnomedex stuff. 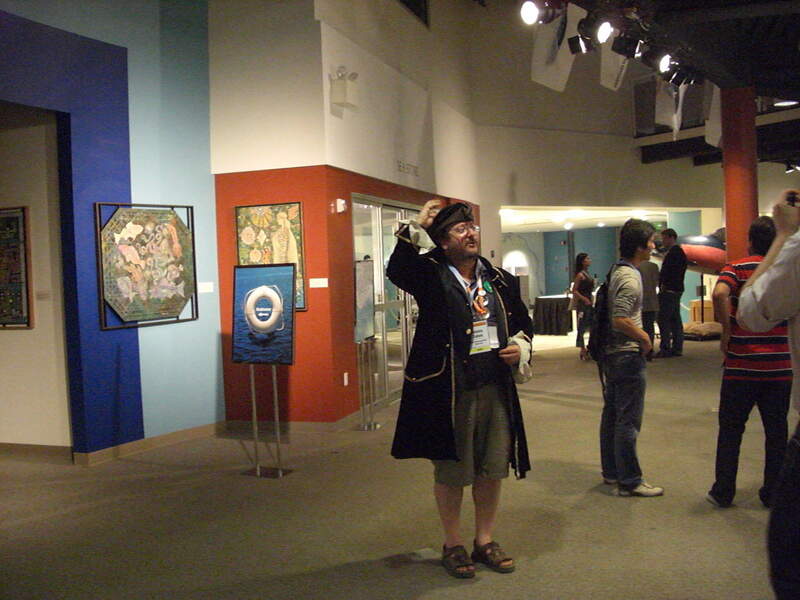 Each year the Gnomedex opening partying in Seattle took place inside the Odyssey Maritime Discovery Center. Unfortunately this awesome location is reported to now be closed. 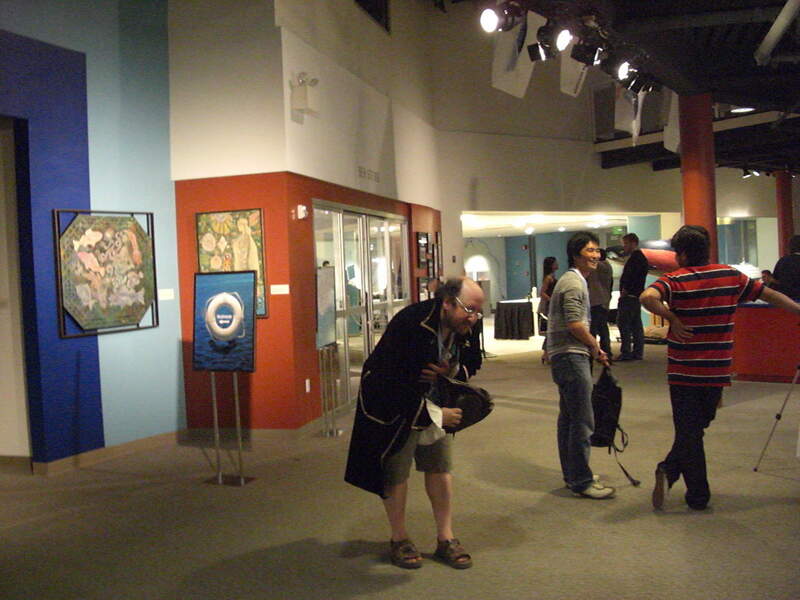 The now defunct learning center / museum was located inside the Bell Harbor Conference Center – which is where the Gnomedex conference took place in Seattle. Personally I could have never worn such a heavy jacket at that event. Every year the Odyssey Maritime Discovery Center was like an oven – they never seemed to be able to properly cool that facility. Still a really enjoyable learning center that definitely should be missed by the community and tourist. On the left side of this same building if you walk towards the water – you will see a very famous door. This is where MTV’s reality television series The Real World was filmed years ago. Dave Winer & Raines Cohen Flickr Photo Sharing! Port of Seattle Commission voted Tuesday to terminate its agreement with the troubled Odyssey, Maritime Discovery Center when the center’s lease expires at the end of the year. The Port of Seattle wants to stop subsidizing the money-losing Odyssey Maritime Discovery Center museum, which owes the Port $1.5 million in back rent and has received millions more in taxpayer assistance.